A game of exceptional quality is exceptionally rare, rarer than generous review scores and excited praise in the high profile videogame market may indicate. There are games of unquestionable caliber that, while few in number, become games that define a generation. BioShock was one such game. 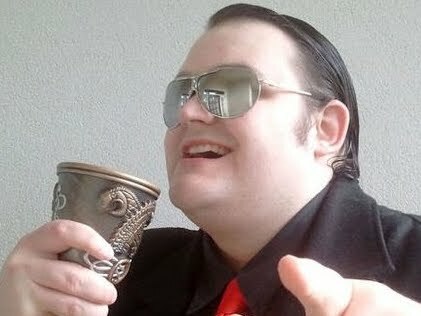 That descent into the undersea city of Rapture, that first encounter with objectivist messiah Andrew Ryan, that initial encounter with the Big Daddy. BioShock was an unforgettable experience of iconic visuals, scenes, and characters. A perfect storm of creativity that will seal its place as one of the seventh generation's leading opuses. There is a price to pay for such an achievement, however -- the price of increasing failure to make lightning strike twice, to put the genie back in the bottle and release it a second time. BioShock 2 tried. It tried its level best, but while 2K Marin's gameplay refinements were appreciated, its narrative irrelevance and the diminished returns of a second Rapture outing ensured it would never live up to the series' high standards. It falls instead to Irrational Games (known as 2K Boston in 2007), creators of the original BioShock, to try and topple what came before. We go not below the ocean, but to the skies of Columbia, to seek magic once again. One has to wonder what the price will be for this success. 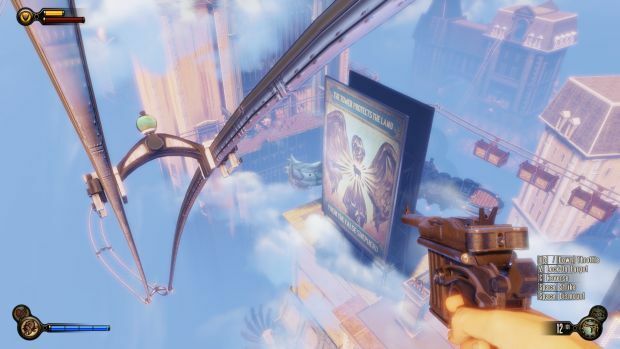 BioShock Infinite wisely abandons Rapture for an all new story in an all new setting, introducing us to the cloud city of Columbia. Ruled by the self-proclaimed Prophet, Father Comstock, Columbia is every American's idea of Heaven -- provided that American is affluent, white, and fiercely proud of those traits. As Booker DeWitt, players are sent to Columbia by mysterious employers to retrieve Elizabeth -- a woman held sacred as "The Lamb" by Comstock and his flock, held under lock and key for unsurprisingly sinister ends. Columbia is a far cry from the devastated shadow of glory that was Rapture. Populated and idyllic, at the peak of its greatness, Comstock's city in the sky is pristine and beautiful. Upon first stepping out into the sun-drenched 1910s utopia, I was quite suitably awed at the beautiful architecture and charmed by the sights and sounds -- from bantering pedestrians to barbershop quartets floating by in miniature airships, delighting me with a Beach Boys song. Yes, in a 1910s utopia. Though beautiful, Columbia feels no less sinister than Andrew Ryan's shattered kingdom -- though its malevolence is more insidious in its subtlety. The understated anachronism is one perfect example -- Infinite boasts a gorgeous soundtrack, but like everything in Columbia, it's not quite right. A band on the beach performing a Cyndi Lauper song, an old gramophone blaring out jazz covers of music that shouldn't exist for decades. And then there's the people, smiling pleasantly with all the cold charm of a Stepford wife. Columbia's a scary place -- breathtaking in its magnificence, yet intimidating through just how intimidating it isn't. Of course, it isn't too long before the city bares its teeth and we see everything's not all roses and laughter. BioShock Infinite's story dabbles in religious control, racism, and the dangers of extremist thought, even among those fighting for a worthy cause. Some of the game's most memorable sequences are shocking both in terms of their visuals and the language used alongside them. 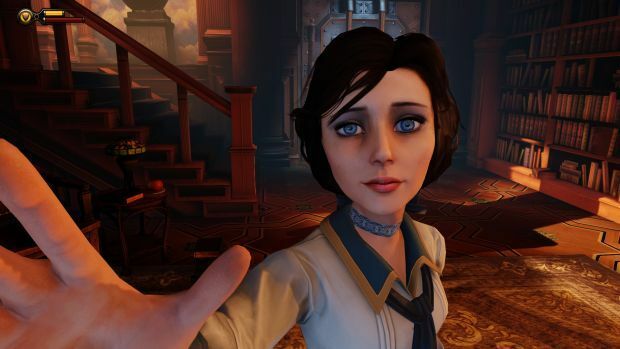 In its exploration of controversial subjects such as slavery, financial divide, and exploitation, Irrational Games ran the risk of crafting an offensive grab for ideas, but wisely pulls its punches until just the right moment to deliver a classy tale, if one that maybe doesn't go as deep into its own talking points as it perhaps could. 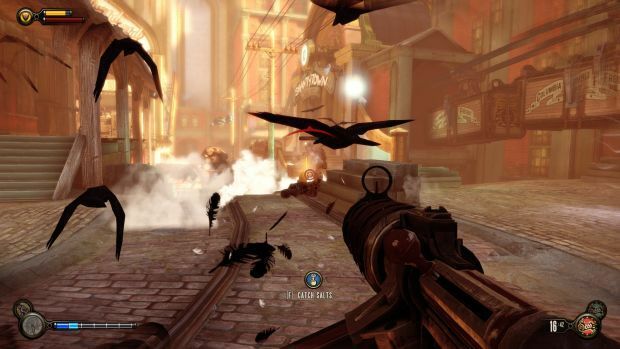 As a game, Infinite retains many familiar elements of BioShock, though it's an altogether faster, more action-based experience. The densely populated, brightly lit world of Columbia is no place to evoke the creeping tension of the first game, so Infinite instead focuses on chaotic combat and heavy duty weaponry. In some ways, this leads to a game with less creativity than BioShock. Booker's guns and special abilities are geared far more consistently toward the direct offensive approach, and enemies are brutally efficient enough to where one never gets to really "play around" with them like one previously could. This is not to say, however, that combat is more straightforward and dull. On the contrary, it works harder to achieve a sense of dynamism, an effort that largely pays off. As well as taking on Comstock's soldiers with a range of machine guns, rocket launchers, and other traditional arms, DeWitt gets dripfed a line of superhuman powers in the form of Vigors. These Vigors work very much the same way as BioShock's Plasmids, arming the player with deadly genetic weapons that can be instantly launched from the hand between bullets. Such abilities include the power to send a murder of crows to damage and antagonize opponents, paralyzing lightning blasts, and a shield that soaks up incoming fire. My personal favorite is Undertow -- a most hilarious toy which sends foes flying with a blast of water, or drawing them in with oceanic tentacles. Each Vigor has two modes of fire; simply pressing the launch button will send out a ranged attack, while holding it down first lays a trap version of the ability on the floor. Wise use of both modes can create anarchic battles that, while not as diverse as BioShock's, are no less sadistically delightful. 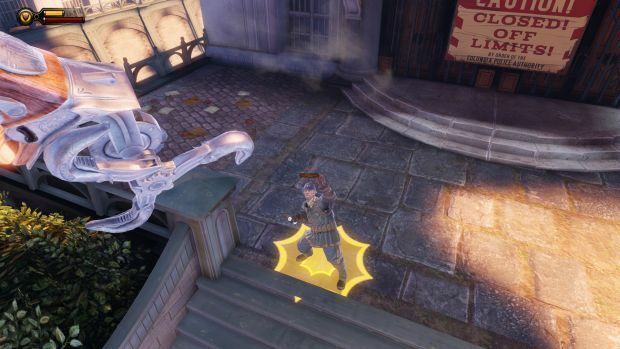 Aiding Booker in his adventure is the Skyhook, a handy invention that can be used in melee combat and allows players to hang from freight hooks or glide along rails like high-speed human trams. Most combat areas have hooks and rails from which to fly around the battlefield, jumping off at opportune moments to land into the opposition with brutal force. Up close, the Skyhook can be used to smash in faces and pull-off some frankly ghastly execution maneuvers. Once Booker encounters Elizabeth, combat gets even more interesting. It soon becomes apparent Comstock's hostage has the unique power to tear holes into other realities -- an important plot point, but something that has its use in battle as well. Various areas are littered with rifts in reality through which Elizabeth can bring predetermined supplies or summon allied turrets and mechanical warriors. 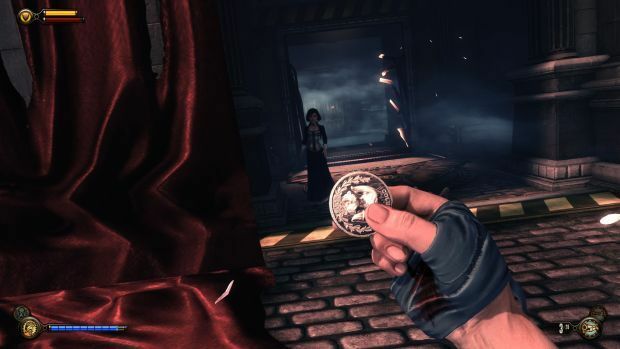 By simply looking at the desired tear and holding a button, Booker can ask Elizabeth to open it and bring through whatever is inside. It's a great idea, which suffers only from the frequent distraction of noise and flashing light designed to draw the player's attention to the nearest tear. It can be slightly bothersome to run through an environment crammed full of tears and get a big "whooshing" effect every few seconds. Elizabeth's uses as an ally are extensive and go toward making her more than just a stereotypical rescue prospect. Able to look after herself in combat, toss Booker vital supplies and cash when the player's in direst need, and pick locks to all sorts of useful areas, Elizabeth feels like a real partner. She becomes an impeccable example of how gameplay can be used to further the narrative. She is as crucial to the player as she is to the story, and both aspects of the character work together in harmonious synchronization. It helps that the game's animation brings her to life in wondrous ways. Effortlessly proving you don't need photorealistic graphics to sell an endearing character, the exaggerated expressions in Elizabeth's face, and the way she walks with hearty skips one moment and nervous footsteps the next, brings her to life in ways I've seen few other characters come close to approaching. BioShock Infinite is a visually stunning game, and the animation is great all round, but the level of care and attention given to the game's true star goes above and beyond the call of duty. My largely effusive praise should indicate I've grown quite fond of BioShock Infinite, though it's not without its less savory constituents. For those hoping this game will be as iconic as BioShock, in just the same ways, I advise expectations be toned down somewhat, or at least redirected. There is no villain on par with Andrew Ryan, and enemies such as the lurching Handyman and admittedly amusing Mechanized Patriots feel like understudies to Rapture's Big Daddy opponents. As an overall story, many portions of Infinite surpass the original BioShock in terms of depth and engagement, but it lacks that one crowning foil. While Father Comstock is a truly detestable antagonist in many ways, his involvement in the story is largely passive, while the nemeses leading up to him often come and go without much time to develop -- a real shame considering how promising such characters as Jeremiah Fink are. This is not to say the story is harmed by the lack of such opposition. This is very much the tale of Booker and Elizabeth, and it's a tale told well. 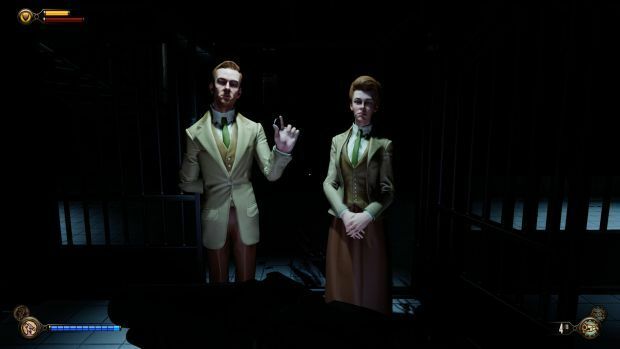 There are also some really good supporting characters to make up for it, too -- chiefly the Lucetes, a brother and sister duo who show up occasionally to aid Booker and provide some of the game's best comic relief. This is to say nothing of the various developments in the latter half of the game that turn the story on its head and provide some damn near unbelievable scenes. One regular gripe I have with the game is Booker's tendency to get stuck on scenery. This is never so bad I had to ever restart a checkpoint, but it's not uncommon to temporarily catch on something and need to jump randomly to freedom or suffer a pause while DeWitt frees himself. It's not so frequent as to reach antagonistic levels, but it's enough to warrant mention. Likewise, Elizabeth generally does a good job staying out of the way, and her tendency to lead the player to the next important destination makes for a clever navigation system, but she can provide a speed bump or doorway blockage now and then -- a trifling annoyance that gets a little more nettlesome with each instance. To find further fault with BioShock Infinite, however, would be to really dig deep and make mountains of molehills. It may not have the same element of surprise BioShock was armed with, but Irrational's return to the world of sociopolitical allegory flavored with animals shooting out of peoples' hands is able to go toe-to-toe with Rapture's undersea adventure in so many ways, and even surpass it in some fields. Combat never ceases to thrill with its pace and agreeable anarchy, Columbia makes for a hauntingly marvelous world with its bright colors and enchanting music, while the relationship between Booker and Elizabeth is infectious. All this leads to an elegant conclusion, expanding the BioShock universe to a staggering degree before bringing it sharply inwards to one of the most affecting, intimate closers I've had the pleasure of experiencing in a game. 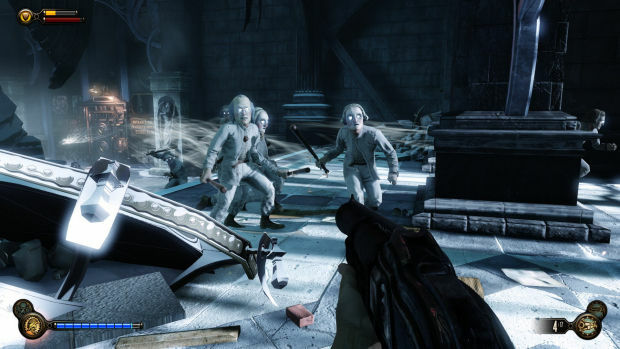 In an industry full of games that seem to struggle with satisfying conclusions -- an area BioShock itself famously failed in -- Infinite is one of those rare games with a perfect beginning, an engaging middle, and a perfect end. Well, I already said it. BioShock Infinite is damn near perfect.